Below is the unedited version of my review of Paul Bogdanor's Kasztner's Crimes which appears in the current issue of the Weekly Worker. I have included a section on the Haganah paratroopers, in particular Hannah Szenes, which was left out of the version published in Weekly Worker for reasons of space. This is the only critical review I know of, certainly from a socialist and anti-Zionist perspective, of a book that has garnered uncritical reviews. The primary purpose of Bogdanor's book is to rehabilitate the reputation of the Zionist movement in Hungary by throwing Rudolf Kasztner, the leader of the Zionist movement in Hungary, to the wolves. It is not surprising that Yad Vashem, the Zionist Holocaust Propaganda Museum, which rehabilitated Kasztner's reputation and defended him to the hilt, has not responded to the book or its criticism of its premier historian, Professor Yehuda Bauer. When Ken Livingstone was suspended for saying that the Nazis supported Zionism, people seized on the Nazi-Zionist trade agreement Ha'vara, which was agreed in August 1933. 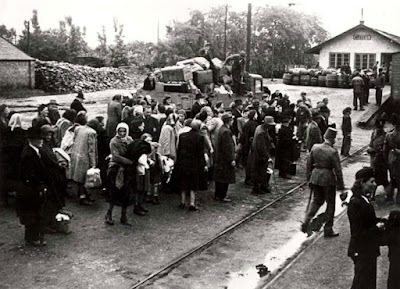 However, although that was the first instance of Zionist-Nazi collaboration, the primary example was that of Rudolf Kasztner's betrayal of Hungary's Jewish population at a time in the war, May 1944, when the Nazis couldn't have carried out a mass deportation but for the collaboration of the Zionist 'Rescue and Relief Committee' which Kasztner headed (officially he was the deputy head). 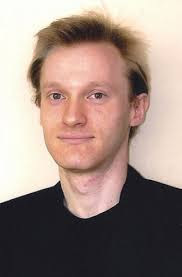 At first sight it is somewhat strange that Paul Bogdanor - who combines anti-communism and Zionism in equal measure - has written a book which accepts the long-standing anti-Zionist criticism of Kasztner. That Kasztner was a Nazi collaborator who deceived Hungary’s Jews into boarding the deportation trains to Auschwitz with false information about being ‘resettled’ in a fictitious placed called Kenyermeze. Why then this about-turn? In the above quotation we can see where Bogdanor is coming from. No anti-Zionist has ever alleged that there was a Zionist conspiracy with the Nazis to exterminate Europe’s Jews - this kind of falsehood is Bogdanor’s trademark. It is a straw man. The Zionist movement did, however, collaborate with the Nazis. The reason why anything that Bogdanor writes should be treated with the utmost caution is his political and intellectual dishonesty. Bogdanor would defend the slaughter of the innocents if he thought that King Herod was a Zionist. An example of Bogdanor’s method is his criticism of Lenni Brenner, whom Ken Livingstone relied on when he said that Hitler supported Zionism. 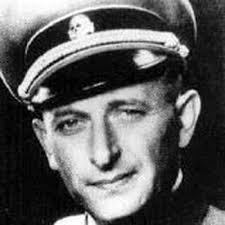 Bogdanor criticised Brenner’s use of an interview with Adolf Eichmann by Wilhelm Sassen, a Dutch Nazi journalist.7 Bogdanor described this interview as a “transparently worthless source”.8 Of course, just because a quotation is from a Nazi war criminal does not make it invalid, especially given that the interviews were conducted freely, long before his kidnapping.9 Otherwise one must eschew all Nazi sources: eg, The Goebbels diaries. Bogdanor is obviously unaware that the Sassen interview with Eichmann was used extensively by the Israeli prosecution in the Eichmann trial. Eichmann’s Defence of his actions in organising the deportations to the death camps was that he was just following orders. The Prosecution quoted this from his interview: “I thought my orders through and participated in their implementation because I was an idealist.”14 Eichmann was then cross-examined using the “efficient weapon of the memoir that Eichmann dictated to Sassen”.15 Presumably the Prosecutor in the Eichmann trial was unaware that he was quoting from a “transparently worthless source”. Bogdanor says that the Labour Zionists “felt compelled to issue a statement praising Kasztner’s ‘tremendous work during the war’” (p.264). It is difficult to see why Mapai felt under any such compulsion unless they felt that a failure to defend Kasztner would also rebound on their own record during the holocaust. Nor does Bogdanor explain why “the Jewish Agency had unceremoniously fired Krausz from his post” (p.270). Kasztner, a senior official in Mapai, brought a libel action, at the insistence of the state, against Malchiel Gruenwald, a Hungarian Jew who had published a newsletter alleging that Kasztner was guilty of collaboration with the Nazis. The first comprehensive account of what became known as the Kasztner trial was Perfidy by the Hollywood producer and screenwriter, Ben Hecht. Hecht was a supporter of the dissident Zionists, Peter Bergson and Shmuel Merlin of the Emergency Committee to Save the Jews of Europe. Bergson and Merlin had incurred the wrath of the US Zionist leadership under Stephen Wise and Nahum Goldman because they insisted on rescuing Jews, whatever the destination, whereas it was a cardinal principle for the Zionist movement that rescue should be centred on Palestine only. … the campaign (was) conducted with all the well-known means of image-making and opinion-manipulation ... [it was] as though the pieces written against the book (and more frequently against its author) “came out of a mimeographing machine” (Mary McCarthy) … the clamour centred on the ‘image’ of a book which was never written, and touched upon subjects that often had not only not been mentioned by me, but had never occurred to me before. The evidence accumulated against Kasztner, despite repeated attempts to exonerate him: for example, Gaylen Ross’s film Killing Kasztner: the Jew who dealt with the Nazis19 or Motti Lerner’s Kasztner,as well as Yechiam Weitz’s The man who was murdered twice and Anna Porter’s semi-fictional Kasztner’s train. 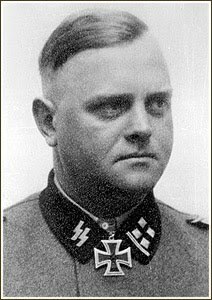 … Kasztner understood very well … that the Prominents as a whole and his friends in Kluj in particular would not be rescued from the holocaust if the mass heard a hint about the real purpose of the operation: to save the leaders from the holocaust prepared for the people. Kasztner took no steps, as leader of the Jewish Agency Rescue Committee (Vaada),26 to warn other Jewish communities, despite having access to a telephone and permits with which to travel.27 The evidence given by survivors of the Hungarian holocaust was that Kasztner and his friends went out of their way to deceive the Jews as to the destination of the trains. They were told they were going to be resettled in Kenyermeze. Elie Wiesel, the Zionist activist, was deported with his family to Auschwitz. Their non-Jewish servant infiltrated the ghetto and begged them to come with her to a shelter she had prepared: “... we would surely have accepted her offer, had we known that ‘destination unknown’ meant Birkenau” (pp.109-10). 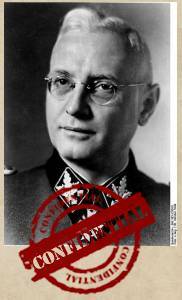 Kasztner did not merely suppress the Auschwitz Protocols. He, Vaada and the Jewish Council actively deceived Jews as to their destination. Both the Jewish leaders and the Zionists collaborated in the destruction of the Hungarian Jewish community. If in Kasztner’s opinion, rightly or wrongly, he believed that one million Jews were hopelessly doomed, he was allowed not to inform them of their fate; and to concentrate on the saving of the few ... He was entitled to make a deal with the Nazis for the saving of a few hundreds and entitled not to warn the millions. In fact, if that’s how he saw it, rightly or wrongly, that was his duty. The supreme court did not challenge the facts found by the lower court. Rather it disagreed with the verdict on political grounds. All five judges upheld Halevi’s verdict on the “criminal and perjurious way” in which Kasztner after the war had saved Nazi war criminal Kurt Becher,31 the personal representative of Himmler in Hungary. Bogdanor never explains why, if Kasztner was a lone individual, he was defended so avidly by the Zionist institutions, including its supreme court. 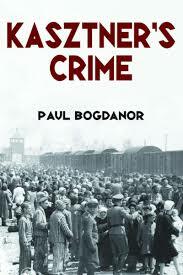 When Bogdanor says that his original intention was to write a book exonerating Kasztner we can believe him. The evidence is so damning against Kasztner that the first question to ask is why, for over 60 years, has the Zionist movement defended a war criminal who, Bogdanor admits, was a Nazi agent? 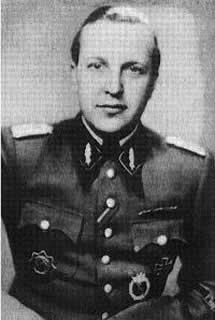 At the Nuremburg trials Kasztner had not merely given evidence on behalf of Kurt Becher of the Waffen SS, but also on behalf of SS general Hans Juttner and Herman Krumey - Eichmann’s deputy in Hungary, who organised the mechanics of the deportations. Kasztner even tried to save Dieter Wisliceny, the butcher of Slovakian and Salonikan Jewry, from the gallows in Czechoslovakia in 1948. Bogdanor argues, citing an interview in Ha’aretz of December 2 1994 (conducted by Gideon Raphael, who helped found Israel’s foreign ministry), that both he and Eliahu Dobkin of the Jewish Agency had strongly objected to Kasztner testifying on behalf of the Jewish Agency. Dobkin, who was a signatory to Israel’s Declaration of Independence, denied at the trial that he had even heard of Becher. Raphael in the same interview accepted that Dobkin’s testimony at the Kasztner trial - i.e., that he had never heard of Becher - was a lie. Barri refers to archival material of the Jewish Agency, which suggests that they both knew of Kasztner’s testimony on behalf of Becher. Bogdanor asks why Kasztner changed his testimony between September 1945 - when he gave an affidavit condemning Becher, Krumey and company as cold-blooded killers - and January 1946, when he called them rescuers. What Bogdanor fails to mention is why did Kasztner again change his mind when he wrote a 300-page report for the Jewish Agency in the summer of 1946, before giving his testimony at Nuremburg in 1947? Bogdanor suggests that Kasztner was coming under pressure from holocaust survivors arriving in Israel, who alleged that he was a collaborator. According to Bogdanor, the way to clear his name was to show that these Nazi war criminals had actually been going around with Kasztner saving Jews from extermination. In other words the best way for Kasztner to prove he was not a collaborator was by testifying in favour of Nazi war criminals! Such subtleties entirely pass Bogdanor by. Bogdanor spends some considerable time on the affair of the three Haganah agents, Hannah Senesh, Yoel Palgi and Peretz Goldstein who parachuted into Yugoslavia and joined Tito’s partisan fighters in March 1944. In June they crossed into Hungary. Szenes was almost immediately arrested. When the other two parachutists arrived in Budapest Kasztner informed the Gestapo of their arrival and ‘persuaded’ Palgi to hand himself in and forced Goldstein into surrendering. Despite repeated requests from her mother, Kasztner refused to provide any help to Hannah. This was brought out clearly when both Kasztner and Hannah’s mother, Katrina, were cross-examined in the Kasztner trial. Kasztner’s motives are not difficult to discern. The parachutists were Haganah and British agents. 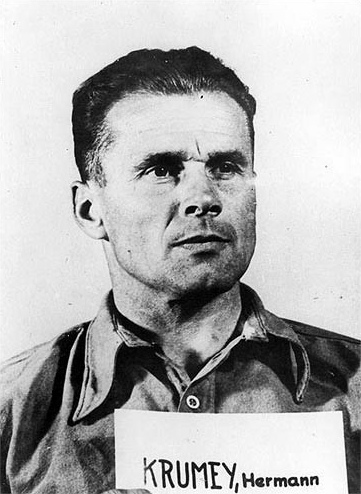 Given Kasztner’s relationship with the Nazis, the arrival of these agents threatened his cosy relationship with the Nazis. He therefore abandoned them. All three were tortured by the Hungarian secret police and Szenes was executed on November 7th. Goldstein was sent to Oranienberg concentration camp where he died. Palgi was the only one who survived, having escaped from a train to Germany. He later testified in the Kasztner trial. Vaada, which was formed in January 1943, allegedly gave assistance to refugees from Poland, Vienna and other Nazi-occupied countries. One suspects that it mainly confined its assistance to Zionists. In his first chapter, ‘The underground’, Bogdanor leads us to believe that there was a veritable rescue organisation that saved up to 25,000 Jews. In fact most Jews who escaped to Hungary from Slovakia and other countries did so without any help from Vaada. I nodded, wondering how a man with such a thick skull could hold down what seemed like a responsible position. Now it was my turn to gape. A Zionist handing a Jew over to fascist police? I thought I must be going mad. I left, utterly bewildered. It was nearly three years before I realised just what [the National Hungarian Jewish Relief Action] and the men inside it represented. Time and again in his book Bogdanor betrays his primary motivation - to exonerate the Zionist movement at Kasztner’s expense. When he mentions the leaders of the Central Jewish Council he describes these bourgeois worthies - led by Samu Stern, a friend of Hungarian regent Miklós Horthy - as “anti-Zionist personalities”. They were nothing of the kind. Their distinguishing feature was that they were bourgeois politically. As even Bogdanor mentions, Abwehr (Nazi intelligence) agents “offered Kasztner’s committee control over the official Judenrat” (p19). Bogdanor cites Alex Weissberg when accepting that “in the few days that followed the German invasion we became the leaders of Hungarian Jewry. Even Samu Stern deferred to their decisions” (p.24). Bogdanor cites the testimony of Kasztner at the trial: “The Judenrat body handling the provincial towns was a Zionist body” (p.101). Vaada had immunity passes and were able to use their own cars, had telephones and did not have to wear the yellow star. What then can be said in favour of Bogdanor’s book? 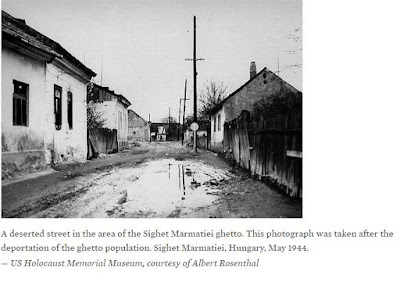 There can be little doubt now as to the role of Kasztner in betraying and deceiving the Jews of Hungary - not least in his home town of Cluj (Kolosvar), which was only two-three miles from the Romanian border. In falsely claiming that it was impossible to cross because the Nazis had increased their patrols, Kasztner actively helped send the Jews of that region to their death. It is a fact that most of those who attempted to cross that border actually succeeded. Bogdanor’s recounting of the testimony of the Hungarian holocaust survivors in the Kasztner trial and how they were tricked into getting onto the trains is revealing (pp.89-94), although most of this too is in Perfidy. But his suggestion that Kasztner acted as a lone wolf is unsustainable. He was one of a number of members of Vaada and all but one survived the Holocaust (pp. 52-56). The suggestion that “the Jewish Agency was being deceived by Kasztner” has no foundation. By his own account, the Jewish Agency ‘Rescue Committee’ had been transformed into “a client body of the most dangerous Nazis” in the SS (p.59). Even Bogdanor is forced to admit, regarding Palestine, that there was a “disastrous aversion of the Labour Zionists to publicity in matters of rescue” (note 16, p.85). However, he never asks why this was the case. Given that over five million Jews had already been murdered by the Nazis, it was obvious that the Jews of Hungary were in mortal danger. It was not ‘confusion’, but indifference, that led the Jewish Agency executive initially to reject even a call on the Allies to bomb Auschwitz or the railway lines leading to the camp. They had a more important priority: building their racist state. The fact that it was the Swiss, not the Palestinian, press that broke the news of the deportations, which led to Horthy putting an end to them, speaks volumes. The Jewish Agency was content with private, routine pleas to the Allies. It undertook no propaganda campaign to put pressure on the Horthy regime. It took the Czech government in exile and the Swiss press, at the end of June, in tandem with Pope Pius XII, King Gustav of Sweden and the American bombing of Budapest on July 2 1944, to halt the deportations to Auschwitz. Despite the Zionist axiom that Jews can only rely on other Jews, it is a fact that it was non-Jews, not the Zionists, who saved a quarter of a million Hungarian Jews. It was the Swedish count, Folke Bernadotte, who was responsible for negotiating with Himmler for the rescue of over 30,000 concentration camps inmates; and Swedish diplomat Raoul Wallenberg who was responsible for rescuing thousands of Jews in Budapest. Bernadotte’s reward was to be murdered by pro-Nazi Zionist terrorists of the Stern Gang, with the knowledge and support of the Labour Zionist Haganah, in Jerusalem in September 1948. Wallenberg died at the hands of the Stalinist criminals in Russia. Bogdanor accepts that Kasztner had been “recruited as a collaborator by the Nazis” (p.71), but this is, of course, exactly what anti-Zionists have maintained for years! And his conclusion - that Kasztner claimed false credit regarding the Jews sent to Strasshoff in Vienna (some 12,000-16,000 of whom survived, because the Nazis needed labour to dig anti-tank ditches) - is also well known. I agree with his conclusion regarding the Nazi offer of one million Jews in exchange for 10,000 trucks to be used against the Russians in the east - the so-called ‘Blood for Trucks’ deal.51 It was clearly meant to distract from the deportations. What is abundantly clear from Bogdanor’s book is that the Zionist movement did indeed collaborate with the Nazis during the war and obstructed the rescue attempts of others. This continues to haunt the Zionist movement today, Bogdanor notwithstanding. 1. Ha’aretz July 23 2007: www.haaretz.com/yad-vashem-hopes-kastner-archive-will-end-vilification-1.226041. 3. ‘Why Ken Livingstone got it right over Nazi support for Zionism’, June 17 2016: http://azvsas.blogspot.co.uk/2016/06/why-ken-livingstone-got-it-right-over.html. 6. ‘Tony Greenstein and the Nazi apologists’: www.paulbogdanor.com/antisemitism/greenstein/nazi.html. 7. Reprinted on the Nizkor site, which is dedicated to rebutting holocaust denial: www.nizkor.org/hweb/orgs/german/einsatzgruppen/esg/trials/profiles/confession.html. 10. ‘Tony Greenstein’s house of cards’: www.paulbogdanor.com/antisemitism/greenstein/tonygreenstein.pdf. 11. ‘Paul Bogdanor and the Zionist three-card trick - why Ken Livingstone was right’ (part 2): http://azvsas.blogspot.co.uk/2016/07/paul-bogdanor-and-zionist-three-card.html. 12. ‘Tony Greenstein’s sleight of hand‘: www.paulbogdanor.com/antisemitism/greenstein/tonygreensteinreply.pdf. 13. Bogdanor, p27, note 1. 14. S Minerbi The Eichmann trial diary New York 2011, p144. 16. T Segev The seventh million New York 1993, p328. 18. New Yorker February 16 1963 and subsequent issues: www.newyorker.com/magazine/1963/02/16/eichmann-in-jerusalem-i. 20. ‘Israel Kasztner vs Hannah Szenes: who was really the hero during the holocaust?’: www.haaretz.com/israel-news/.premium-1.557024. 21. B Hecht Perfidy New London 1997, p180. 23. Part of Akiva Orr’s contribution to Jim Allen’s book, Perdition: a play in two acts (London 1987), pp88-89. 24. Ibid pp91-92. In fact that information was sent to Schwalb almost immediately. See F Baron, ‘The “myth” and reality of rescue from the holocaust: the Karski-Koestler and Vrba-Wetzler reports’ The Yearbook of the Research Centre for German and Austrian Exile Studies No2 (2000), pp171-208. 26. Porter confirms that Kasztner’s job was co-funded by the US-based Joint Distribution Committee, a non-Zionist Jewish charity, along with the Jewish Agency. The latter had sought to set up a Relief and Rescue Committee in Budapest, only to find that one had already been established (A Porter Kasztner’s train London 2009, p61). Akiva Orr describes Kasztner’s Relief Committee as “affiliated” to the Jewish Agency Relief Committee in Palestine (in J Allen Perdition: a play in two acts London 1987, p81). Krausz was a member of the religious Zionist Mizrahi, whereas the Jewish Agency was controlled by Mapai. Randolf Braham says: “The Rescue Committee of Budapest was established early in 1942, under the auspices of the Rescue Department of the Jewish Agency for Palestine” (Patterns of Jewish leadership in Nazi Europe 1933-1945 p281, Jerusalem 1979). 27. B Hecht Perfidy New London 1997, pp113-15. 29. B Hecht Perfidy New London 1997, p195. 31. B Hecht Perfidy New London 1997, p247. 32. H Arendt Eichmann in Jerusalem Old Saybrook 2011, p132; RL Braham The politics of genocide - holocaust in Hungary Hilberg 1981, p134. 33. RL Braham The politics of genocide - holocaust in Hungary Hilberg 1981, p881. 34. B Hecht Perfidy New London 1997, p268, note 159. 35. 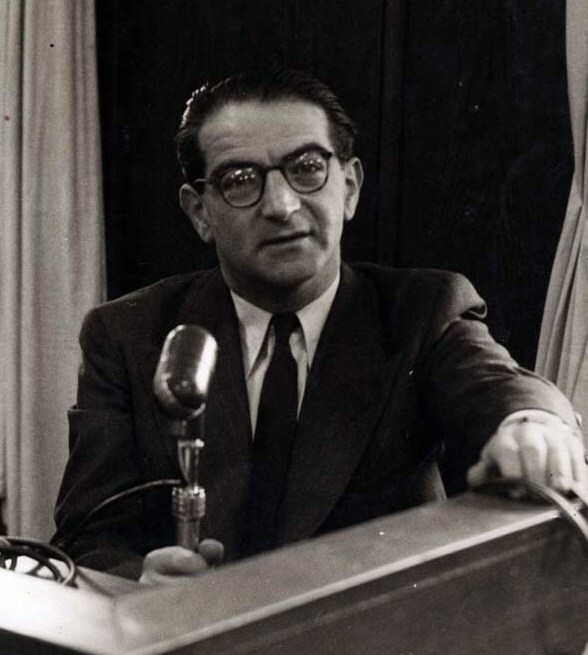 Kaplan was the Jewish Agency treasurer, as well as being Israel’s first finance minister and deputy prime minister. 36. S Barri (Ishoni), ‘The question of Kasztner’s testimonies on behalf of Nazi war criminals’ Journal of Israeli History 18: 2, 144 (1997). 38. RL Braham, ‘Rescue operations in Hungary: myths and realities’ East European Quarterly Vol 38, summer 2004, p173. 41. Bauer estimates that up to 5,000 escaped - Y Bauer Jews for sale? Yale 1996, p160. 42. S Teveth The burning ground 1886-1948 Boston 1987, pp854, 851. 43 Ben Hecht, Perfidy, pp. 127-132. Nazi Lines" by Yoel Palgi, Rutgers University Press. Judith Baumel, Ha’aretz 13.6.03. 46 Even anti-Zionist author Lenni Brenner, Zionism in the Age of the Dictators, 1983, p. 260, Croom Helm, London, described the purpose of the Haganah parachutists as to ‘organise Jewish resistance and rescue’. 47 Yechiam Weitz, Jewish Refugees and Zionist Policy during the Holocaust, Middle Eastern Studies, Vol. 30, No. 2 (Apr., 1994), p. 359. 48 New York Times, 27.10.46. cited in Tom Suarez, State of Terror – How terrorism created modern Israel, 2016. 49. R Vrba I cannot forgive London 1964, pp.27-28. 50. Shabtai Beit Zvi, p.316. Minutes of Jewish Agency 11.6.44. 51. Tony Greenstein, ‘Zionist-Nazi collaboration and the holocaust: a historical aberration? Lenni Brenner revisited’ Holy Land Studies 13.2 (2014), p.208.